Yesterday I had my yearly appointment with the dermatologist to check for skin cancer. Three years ago I had a squamous cell carcinoma removed from my shin so each year I go back for a full body check. So far no more skin cancers. 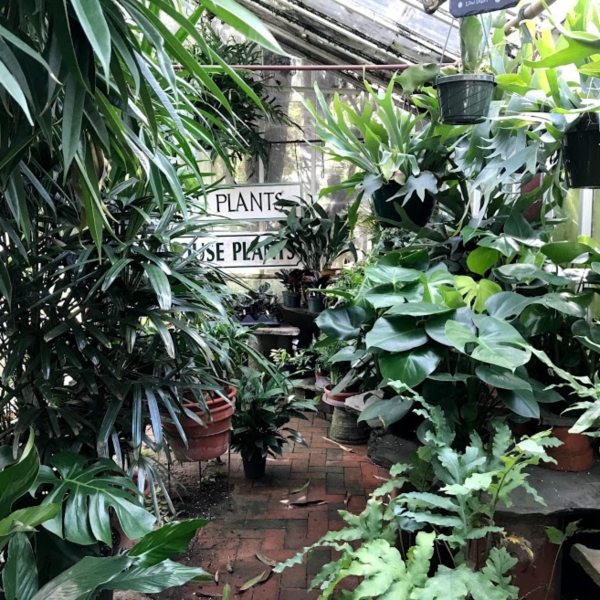 As my appointment was on the other side of town I decided to swing by my favorite place and look at houseplants. 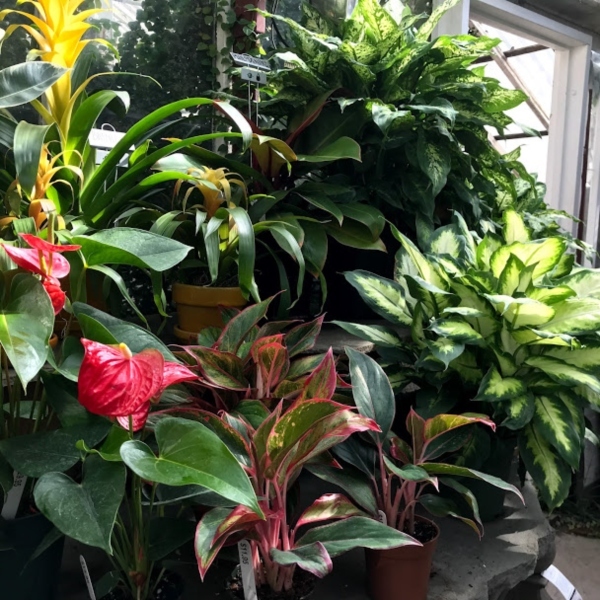 It isn't as if I have a lot of room for more plants, but I do love them so much, and houseplants are beneficial to your health. Good enough reason for me. If you have read my blog for awhile you know that my extended family owns Michler Florist here in Lexington, Kentucky. It was started by my grandfather in 1902 and is the oldest florist and greenhouses in the state of Kentucky. It is also where I started my love affair with plants. 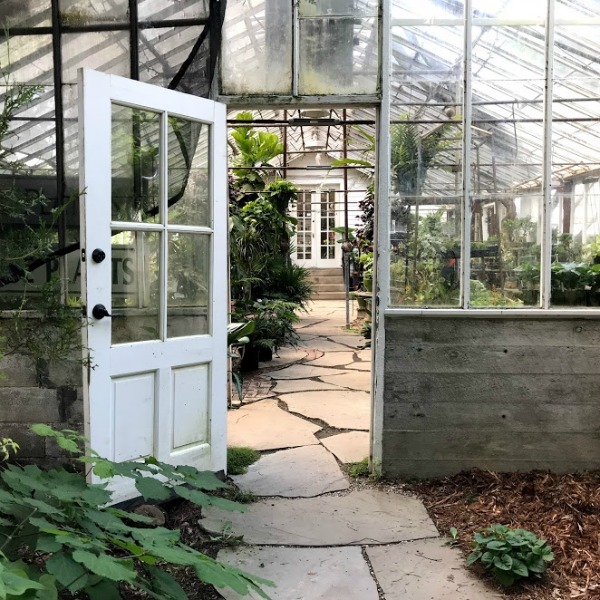 The grownup me loves to step into the front greenhouse (I call it Aunt Rose's greenhouse because it is where my great aunt kept her birds) and remember the child me who loved playing there. 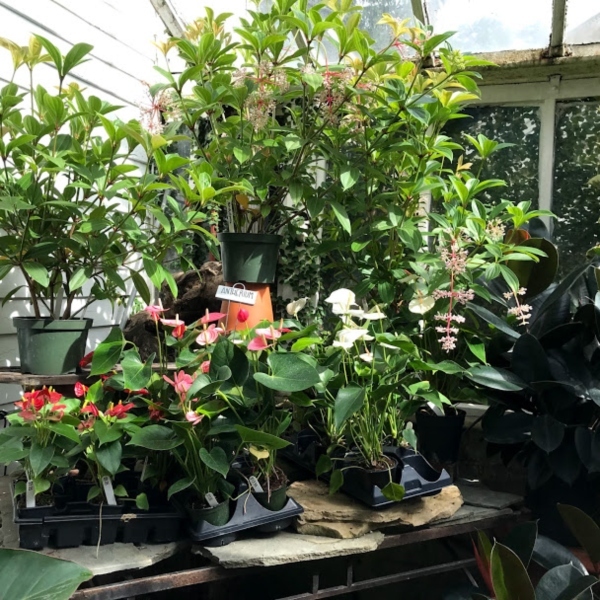 Today that greenhouse is filled with houseplants and succulents. It is paradise. I wandered around for a bit breathing in the smell of earth and checking out what was available before heading into the florist to get some professional help. None of my family was there, but one of the wonderful employees came out to help me. I knew that I wanted a large leafed plant for a pot that I had. The plant that was growing there for several years suddenly died last month. It didn't give me time to plan a funeral, it just dried up and died overnight. After a discussion on light requirements I decided on this philodendron. Since I am in a small apartment where I don't have a lot of windows I need plants that are tolerant of low light. I love this plant. 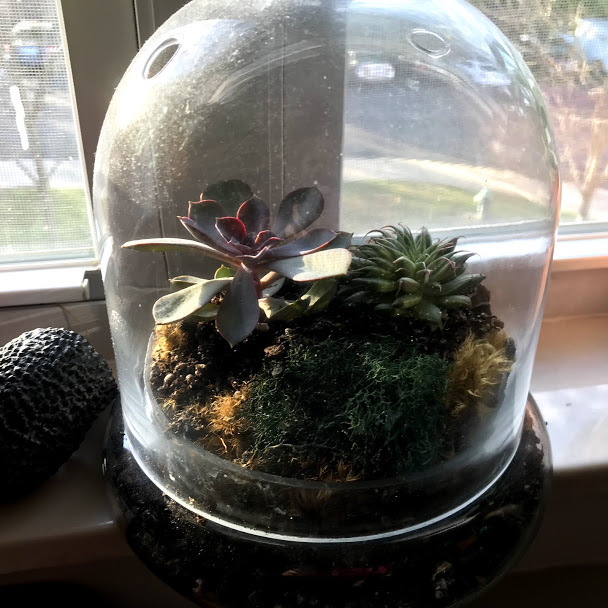 I also needed to replace a couple of succulents that I killed off last spring in my little terrarium. I didn't have it in a window and it wasn't getting enough sun. So I bought two sweet succulents and placed it in the window. Hopefully, it does better now. Nothing left to do but sit back and enjoy them. Laura... whenever I have to do something not very pleasant such as a doctor's appt. I always plan a stop at one of my favorite stores. It takes the sting out of the day. Beautiful pics. Have a great weekend. Good Morning Laura. So glad to hear you are clear of any more skin cancer. Love all the fun plants. Have a great rest of the week. I love house plants but only have one window where I can have them and it's also the window where Annie sits and looks outside. So I'm limited but I still have two good size plants. 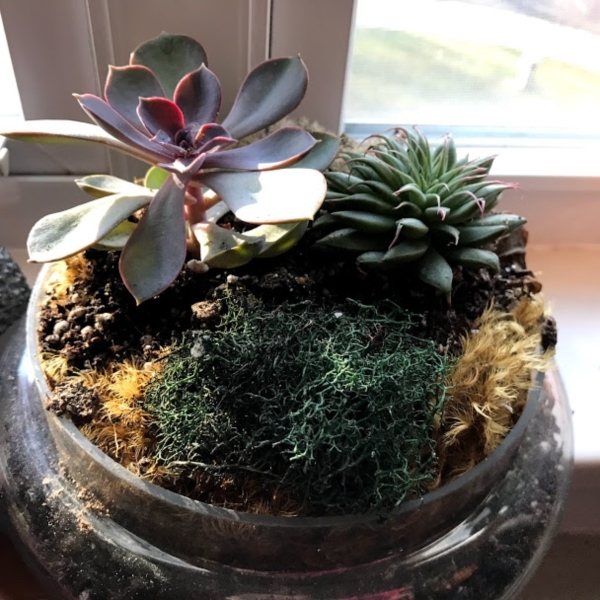 I love succulents but can't seem to keep them alive. 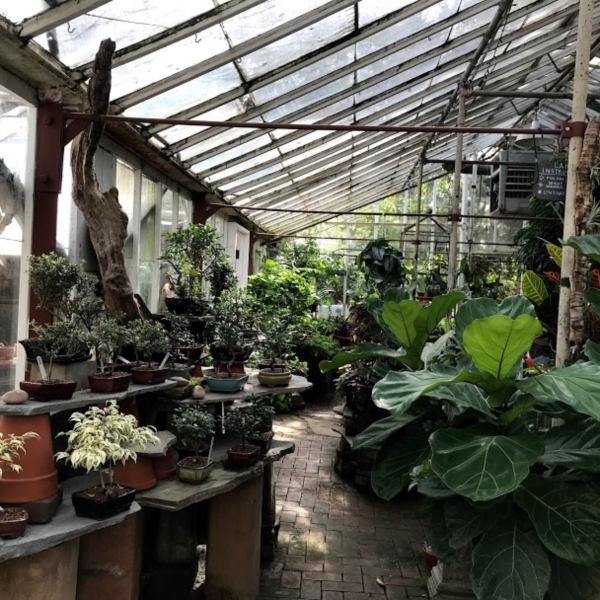 What a wonderful greenhouse/florist! If you were close by I'd give you my house plants, since I had to take them outside due to Ivy. 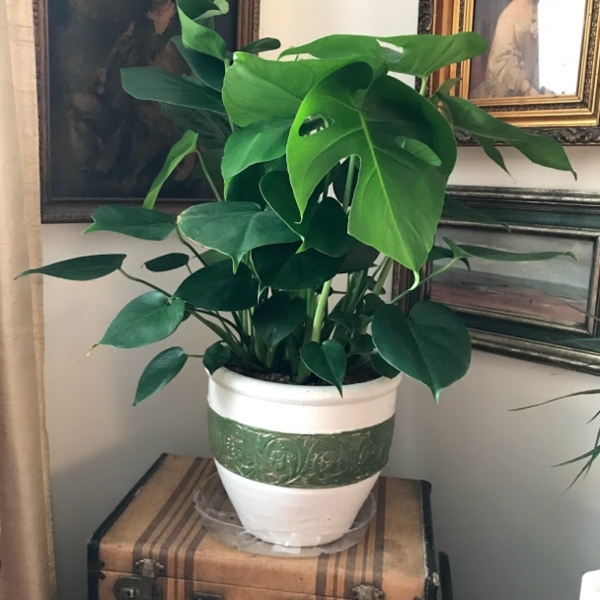 I have a beautiful large Monstera plant much like you showed. If you can't have pets, house plants are the next best thing in my book.